Do you wish you could find a simple way to have great skin with minimal effort? The medical spa world has great news for you: people in the Las Vegas area are loving microdermabrasion. This is one of the quickest, easiest ways to effectively achieve smooth skin. In less time than it takes to watch an episode of your favorite television show, you can have the fresh, glowing skin that you have always wanted. This technique utilizes a chemical peel solution and micro crystals to resurface the outer layers of the client's skin. The chemical solution is applied to aid in the removal of the dull layers, and then a dermabrader is used to gently exfoliate the skin. The process of microdermabrasion results in new elastin fibers and new collagen production, leaving your skin feeling smooth and looking vibrant. This treatment is great for those who suffer from acne, acne scars, oily or dull skin, enlarged pores, fine lines and wrinkles and minor pigment disorders. Clients typically see great results after just a few treatments. It is recommended that a person receive two to three treatments every two weeks, or return until they achieve their desired results. Microdermabrasion is also an excellent pre-treatment solution for chemical peels and the application of skincare products. The treatment removes dead skin cells which ultimately opens the pores. This allows chemical peel treatment products, vitamins and skin creams to penetrate the layers of the skin deeper than usual, leaving you with better results. 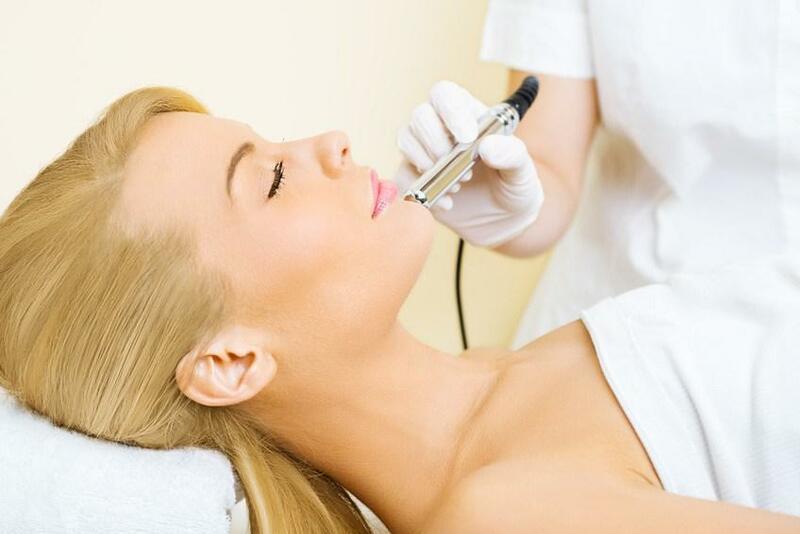 Microdermabrasion is very popular in the Las Vegas area, and has provided thousands with younger, smoother skin. Those individuals who want to avoid the time, costs, discomfort, recovery time and potential side effects of alternative skin resurfacing treatments are encouraged to try microdermabrasion. If you have acne scars, age spots, unwanted blemishes or would simply like to see an improvement in the overall quality of your skin, microdermabrasion may be just the ticket. This treatment is minimally invasive, pain free and can be performed in the relaxing setting of a medical spa. If you would like great skin after just a few, simple 20 minute treatments, microdermabrasion may be right for you. Best results are achieved when the treatment is performed properly by a clinician, like those at a medical spa. For more information, contact a professional at Love Your Body Medical Spa. The beautiful skin you have always dreamed of is well within your reach. If you're interested in scheduling an appointment or learning more, please click Contact Us Now!